Motorists will go into December with a little extra Christmas cash in their pockets thanks to still-falling gasoline prices. 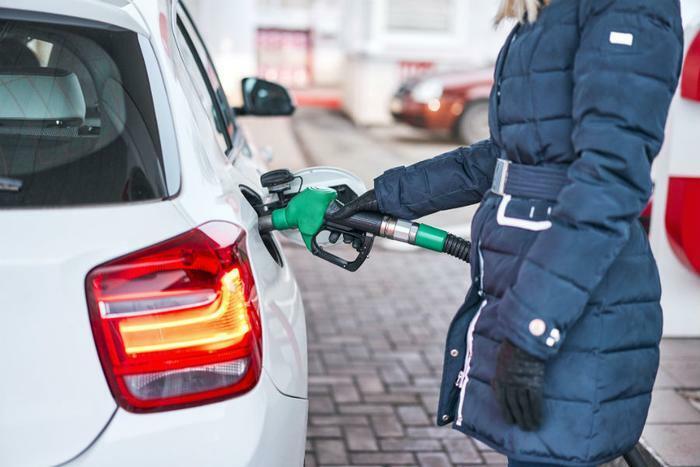 The AAA Fuel Gauge Survey shows the national average price of regular gas is $2.51 a gallon, down seven cents from a week ago. It's 29 cents a gallon cheaper than a month ago, saving $4.35 on a 15-gallon fill-up. The average price of premium gas is $3.10 a gallon, also seven cents cheaper than last Friday. The average price of diesel fuel is $3.21, three cents a gallon cheaper than seven days ago. Gas prices are moving lower for one simple reason. The price of oil continues to fall, thanks to rising production and falling demand. The Energy Information Administration (EIA) reports U.S. oil supplies rose for a 10th straight week, increasing to 450 million barrels. This week's EIA report shows oil stockpiles are about 7 percent higher than the five-year average for this time of year. “Growth in global crude production, including in the U.S., combined with weaker than expected global crude demand for the fourth quarter have helped to push crude prices lower,” AAA said in its latest market update. At $2.51 a gallon, the average price of gasoline is now just two cents higher than the lowest price of the year, reached back in January. Kentucky and Ohio saw the biggest price drops in the last week. The average price is down 10 cents a gallon in Kentucky and 14 cents lower in Ohio.